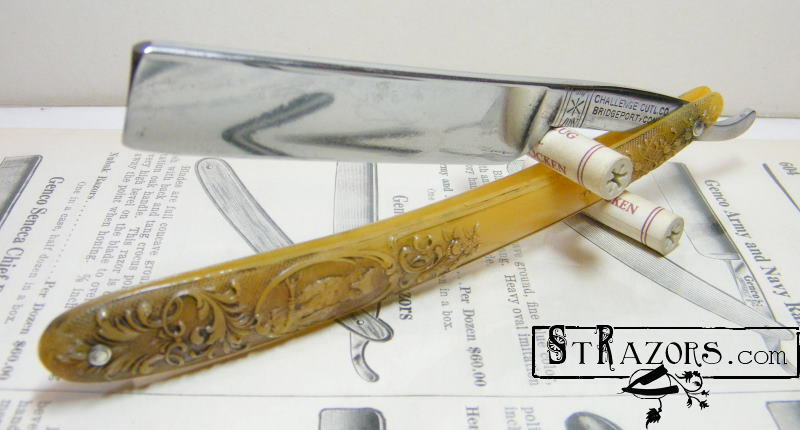 STRAZORS.com - all about classic razors - Challenge Cutlery Company, Bridgeport, Conn. Challenge Cutlery Company, Bridgeport, Conn.
At the beginning, in 1867, the "Challenge" trademark was used by the B.J. Eyre company of Sheffield. In 1877, the Frederick Wiebusch Company, an import firm in New York City, purchased the Eyre firm with it Challenge trademark. In 1889, Walter M. Taussing opened the Challenge Razor Works in Bridgeport, Connecticut, as a subsidiary of F. Wiebusch & Company. After the death of F. Wiebusch in 1893, the firm became part of the Wiebusch & Hilger Company of New York. By 1899, they had purchased the Hatch Cutlery Company of Bridgeport, and moved into the Hatch factory. The name then became the Challenge Cutlery Company. They were incorporated in 1905. All Challenge knives marked "Sheffield" were imported prior to 1914. In April, 1926 the company was put up for sale. The last listing in the city directory is 1928. Goins' Encyclopedia and Bridgeport directory. 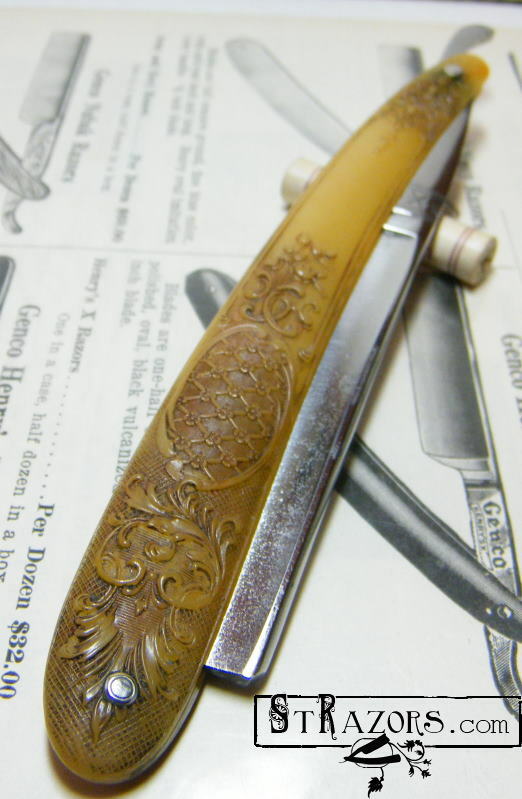 According to the stamp, this razor was made 1905-1928.